Undoubtedly the most severe and life-threatening of my illnesses, my trials through the affliction that is Vasculitis is still very real and present. I have tried my hardest to be regular and authentic in the last two years as I tackle the effects of this illness on my life. Yet here I am surprisingly for the first time since the first symptom to share exactly what this illness is and what it means. My bad for not doing it sooner. Seriously. If you are coming in from this story a little bit more recntly than my last seizure or stroke then I can assure you that you will discover the whole story below. Vasculitis is a condition in which a vessel or vessels which carry fluids throughout the body become inflamed. Most often the inflammation is localised to a particular system within the body and so takes on specific features. This happened with me and my Cerebral Vasculitis (also known as Cerebrovascular Disease). Other forms of Vasculitis are associated with Temporal Arteritis, serum sickness, Henoch-Schonlein purpura, and Kawasaki’s disease. Vasculitis can be a common implication of many autoimmune diseases such as Polyarteritis Nodosa and Wegener’s Granulomatosis. It is important I mention these because they are not dissimilar to Systemic Lupus Erythematosus (SLE) and other autoimmune diseases in varying ways. Not only this, but often people with one autoimmune illness are diagnosed with multiple autoimmune and mixed connective tissue diseases. I am a good example of this already with my dual diagnosis of SLE and Rheumatoid Arthritis. My troubles with this illness began in 2013 and it was aggravated dramatically by me and my life choices. I was in the process of finding my life direction and recovering from a severe bout of depression which I identify as ‘My Breakdown’. During this time I had been completing my Certificate III in Education Support, preparing for a full-time enrolment in a Bachelors Degree of Education at a local university and trying to build up some work as a mobile yoga instructor focusing on physical rehabilitation and injury recovery. I cannot be too chronological on the manner events happened or the symptoms as they appeared because my memory is hazy. As the year neared the end and I settled in to the new process of university life I started to experience increasing situations where I would lose the ability to speak and think in a systematic and logical way. I could think 1 and 5 but couldn’t find 2, 3 or 4. My speeches would become disjointed mid sentence and I would drop in completely unrelated words or freeze altogether. I often forgot who people were, where I was going or how to do something I had been doing for years. Decision making and situation safety assessments became a skill from the past that was not available for me. I can tell you some time between July and September I was in a minor car accident as I blacked out whilst driving. Yep it was all fun and games. The diagnosis took months and was very difficult. A stay in hospital for December 2013 helped get the big tests out of the way, and nothing showed a confirmation. It wasn’t until I had a partial stroke that the doctors were able to confirm my condition. This is an important side note because regardless of how good your team is, and how many tests you have, the answer can still slip under the radar. At three crucial points they tested me for CV, and even immediately following the partial stroke I didn’t present with CV symptoms. It was only a complete disproving of all other alternatives throughout various treatments that was able to show the answer. Cerebrovascular Disease, and Vasculitis, are caused by numerous factors and can present in a range of ways dependent on the location of inflammation. Inflammation is a protective tissue response to injury or destruction of tissues,which serves to destroy, dilute, or wall off both the injurious agent and the injured tissues. Inflammation in a blood vessel can be temporary, partial, excessive or complete. As fluid is prevented from the typical flow the area it feeds will suffer due to the starvation of their requirements. The location where the inflammation occurs will either resolve itself or not. The inflammation may be cause by an injury and subsequent clot blockage. It is important to note here that this can be a very dangerous situation, as a clot that breaks off in the blood vessels and travels around the body may have a fatal impact. If the inflammation creates a build up and solidification of fluid ( called a mass or lesion) at specific sites for an on-going period of time, the repercussion of the swelling is that the growing mass may cause damage to the part of the body it is pushing on. As you may recall, I have not had much cause to worry about clotting too much in my past. Yet that was a long time ago and that issue had been resolved for years so I was not walking on easy street here. I normally enter word origins and meanings for the biological and medical terms of my conditions, and usually that is enough for a diagnosis post, but here I want to elaborate on a few more. Vessels – The ‘tubes/pipes’ through which fluid passes in the body. Not only blood but other fluids can also pass through these vessels to carry cells throughout the body. 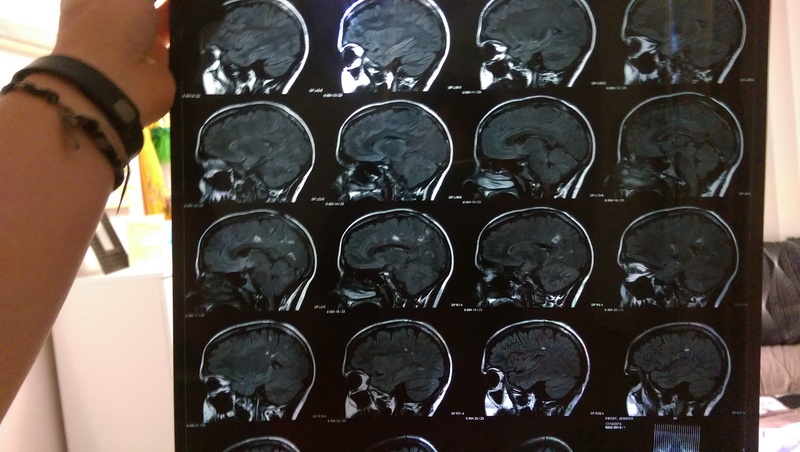 So I have Cerebrovascular Disease, or Cerebral Vasculitis. I have ongoing inflammation of the blood vessels in my brain that reduces the flow of blood to my brain and results in masses building up, pressing on the various regions of my brain and inflicting havoc on my brain functions. 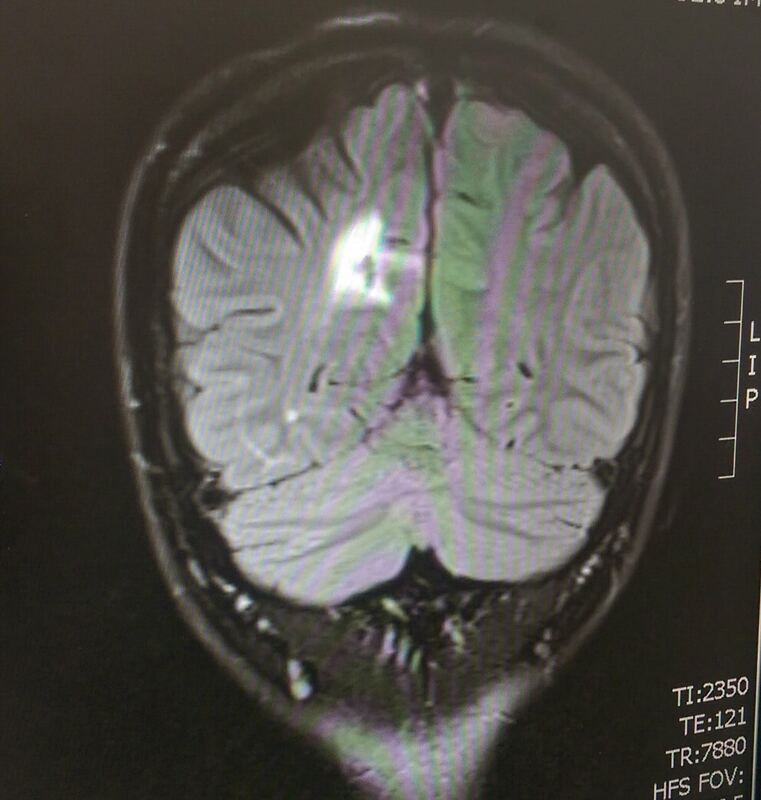 Due to this illness I have had a partial stroke, partial focal seizures, transient ischaemic attack (TIA). Curious to read more? You’ll just have to stay tuned! This is my third Autoimmune Disease and I am 26 years old. The links in the text are further readings too. Tammy that has happened with a few of my posts recently and I’m sorry to hear you lost it. Its such a strange manifestation of an illness, it presented so differently in my and I was undiagnosed for 8 months. I didn’t realize it was autoimmune but as I learn about it I realize it is such a strange thing that I’m not surprised. I love getting to know new people and I especially would love to hear how you go with this from here! I would first suggest not to jump to conclusions, it just stresses you out needlessly. There are levels of strokes and even if you had one worrying wouldn’t help. If you have a GP you can trust, good, if not find one. Take someone who has seen this in action. Document times, longevity, dates and situations before/during/after, even how your reflection looks (swelling or redness and if its on one side). No detail is too minor and mild aches, tics, twitches are important. Tell the receptionist you want a half hour appointment when you book with a doctor. Request MRIs as CT is better for only something’s. I know vessels in the brain show well on MRIs and variations of them. Definitely do it before surgeryperhaps discuss this with the referring GP? I hope this helps, but if you want to chat further you can PM on This Lupus Life Facebook page too. Unviaeeblble how well-written and informative this was.